1. Be still my beating heart. That dress. Grey lace and embroidery - two of my very favourites. Now I just need an occasion that gives me the perfect excuse to buy it. Well done ASOS for grabbing my attention. I'd pretty much stopped shopping with you, but then you pull one like this outta the bag. It's by Hope & Ivy. 2. Old marmalade pots. I've been obsessing over them on eBay and am so drawn to the idea of using them for storing pretty much everything. Paintbrushes, cutlery, lipstick, plants. The uses are endless. I can see a new collection starting. 3. This constellation calendar from Rifle Paper Company is perfect. I love the gorgeous illustrations of Anna Bond and this calendar is no exception.Buy now from Papermash and get ready for the New Year (eek). 4. Velvet, how I heart thee. I'm so pleased that it's really having a moment this season but I'm not happy about all the nasty cheap polyester velvet that's in the shops. This silk velvet skirt from Toast comes in dark grey and blush. Now that's what I'm talking about., quality and beauty. 5. 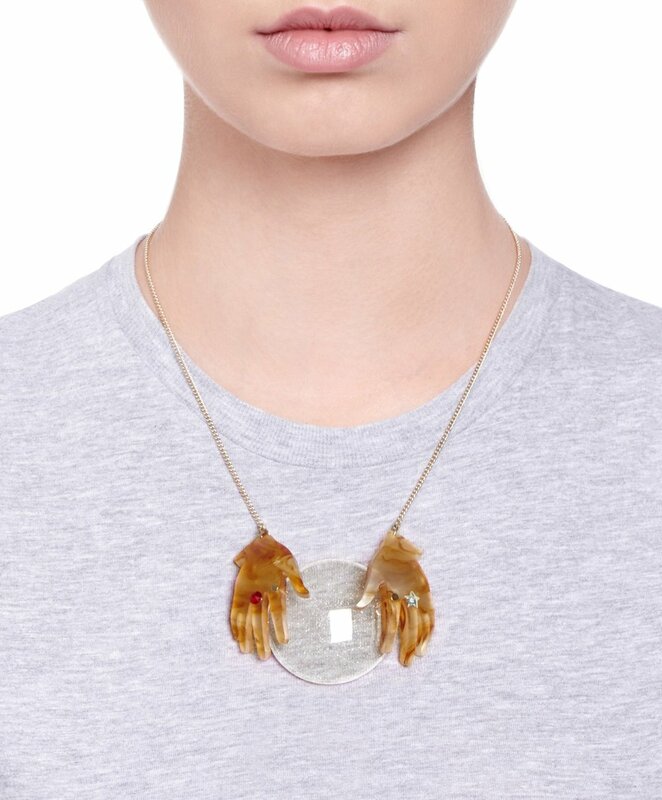 Tatty Devine's fortune teller necklace is wonderful. I've always fancied a crystal ball, perhaps I could wear one around my neck instead and get in touch with my psychic side. 6. Inspired by a love of nature, Merve Burma creates wooden and cross stitched bags from her Istanbul workshop. They are absolute works of art.